Lie on an inclined bench at 45 degrees, with your arms hanging down and your palms facing one another. 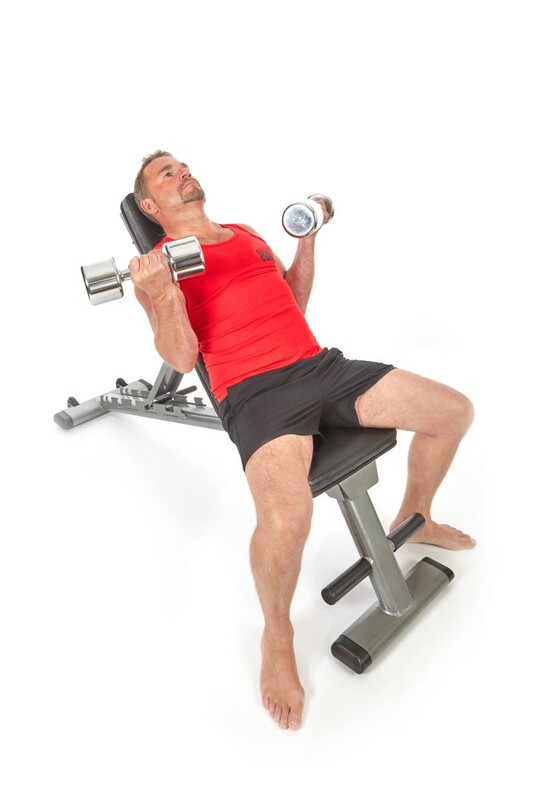 Bush your back and shoulders into the bench and try to prevent them, along with your upper arms, from moving at all. As you start to raise the dumbbell, immediately twist your wrists so that your palms face the ceiling and continue to raise your arms till your biceps wont let you go any further. Squeeze like crazy at the top and then lower slowly. Towards the bottom, rotate your wrists so the palms face one another and with arms dead straight try and contract the triceps. Once you have fired the triceps, start all over again.